There are multiple ways to create a new project in Innoslate. From the 'Manage Projects' page, you can click the '+ New Project' button, located under the 'Manage Projects' heading. 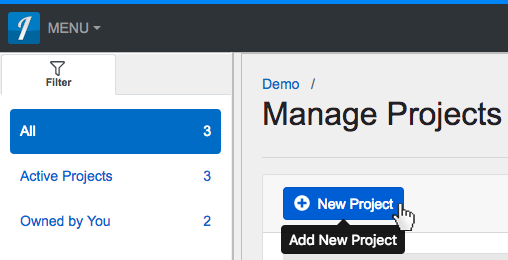 You can also find the '+ New Project' button on your 'Organization Dashboard,' in the 'Recent Projects' panel. 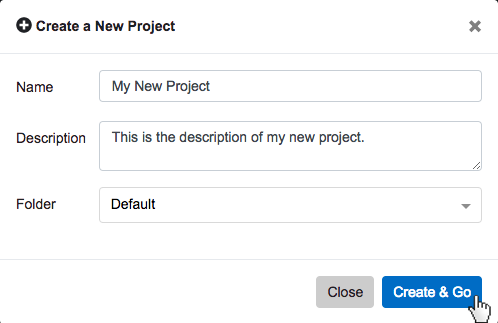 Once you have clicked to add a new project, the 'Create a New Project' dialog will appear to guide you through creating your project. First, you will enter your project Name and Description (optional). 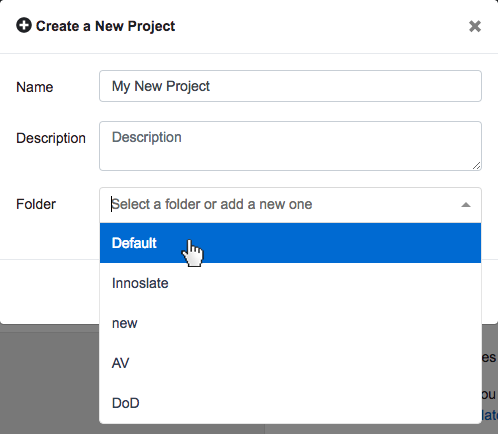 You will have the option to place your new project in an existing or new folder, by clicking the 'Folder' drop-down and selecting a folder name (or typing in a new name). If nothing is selected, your new project will go in to the 'Default' folder. From the ‘Manage Projects‘ page, you can click the ‘+ New Project’ button, located under the ‘Manage Projects’ heading. 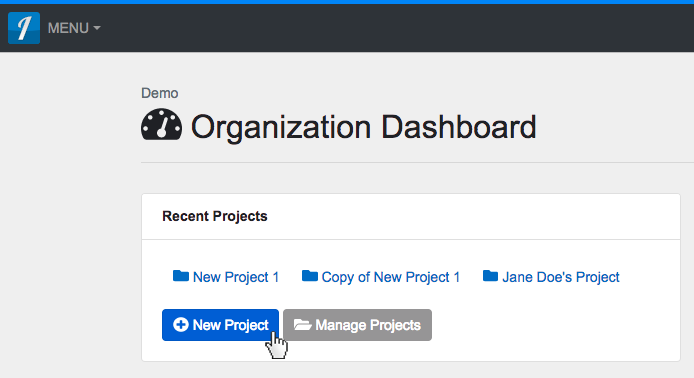 You can also find the ‘+ New Project’ button on your ‘Organization Dashboard,’ in the ‘Recent Projects’ panel. 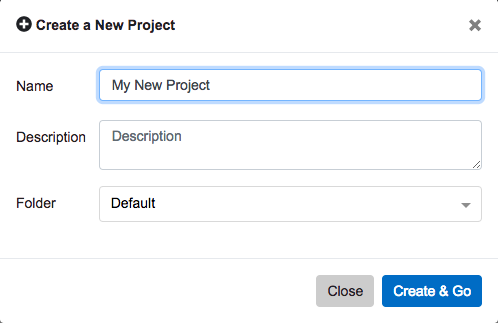 Once you have clicked to add a new project, the ‘Create a New Project’ dialog will appear to guide you through creating your project. 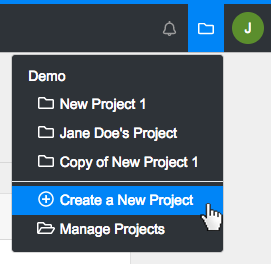 You will have the option to place your new project in an existing or new folder, by clicking the ‘Folder’ drop-down and selecting a folder name (or typing in a new name). If nothing is selected, your new project will go in to the ‘Default’ folder.